Antique 3 stone Gypsy ring. Product code: 944 Categories: Sold Items, Sold Rings. Here is a very versatile and easy to wear antique diamond set ring in the wonderful Gypsy setting. 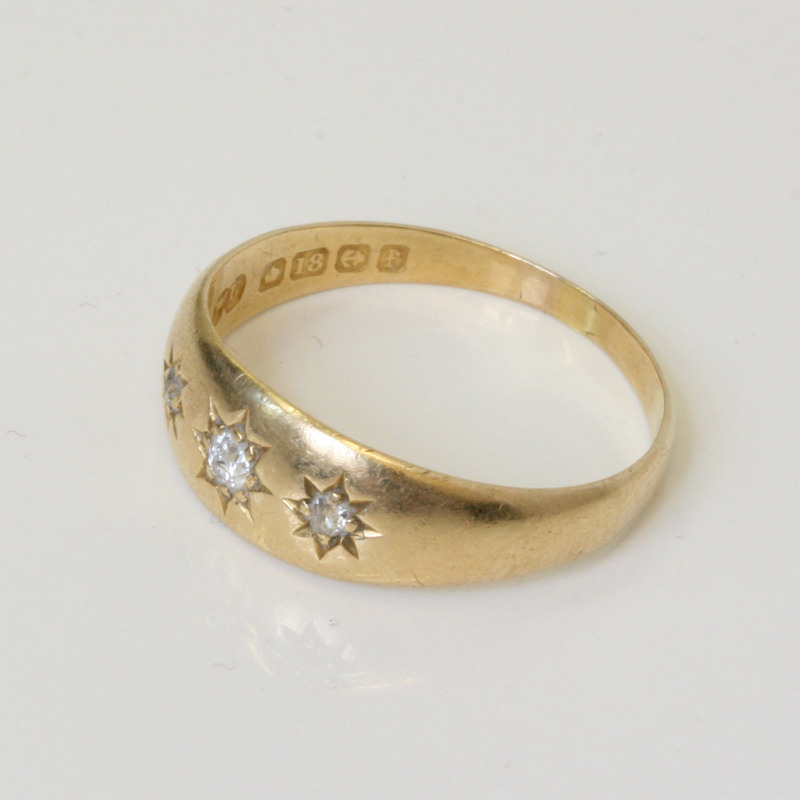 Set with 3 diamonds into the band, the Gypsy setting has a great star pattern around each diamond. 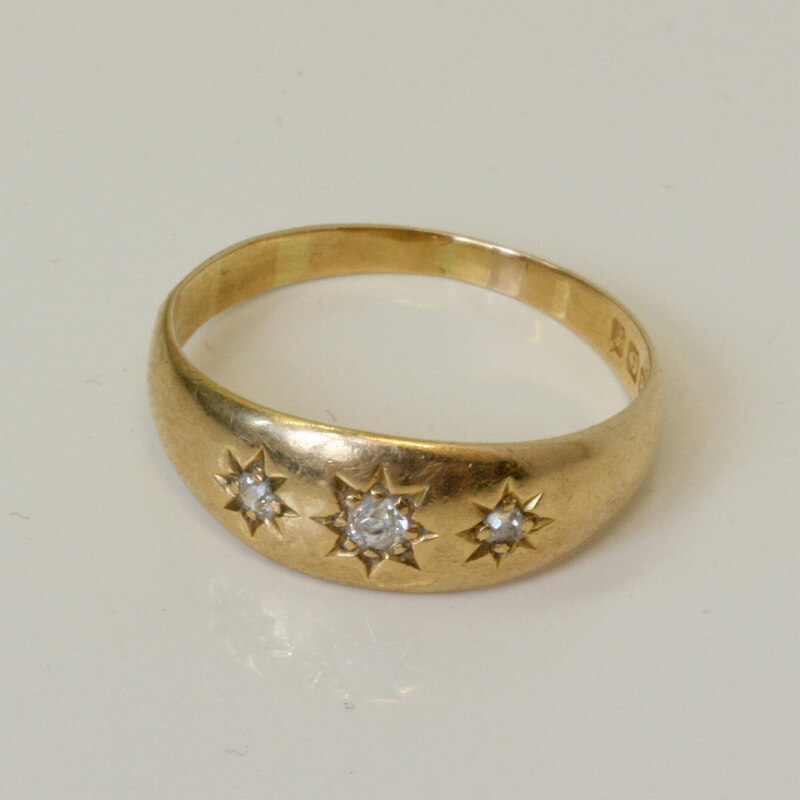 Made in 18ct gold, this ring was made in Birmingham 1905, and is in wonderful condition for everyday wear. This is a great example of an antique ring that is not over the top, yet has sparkle from the diamonds in a setting that is so easy to wear all the time.